We've been fans of the Molecule of the Month series by David Goodsell, for many years. Not only is Dr. Goodsell a talented artist but he writes very clear descriptions of the ways molecules like proteins, RNA, and DNA work together and function inside a cell. 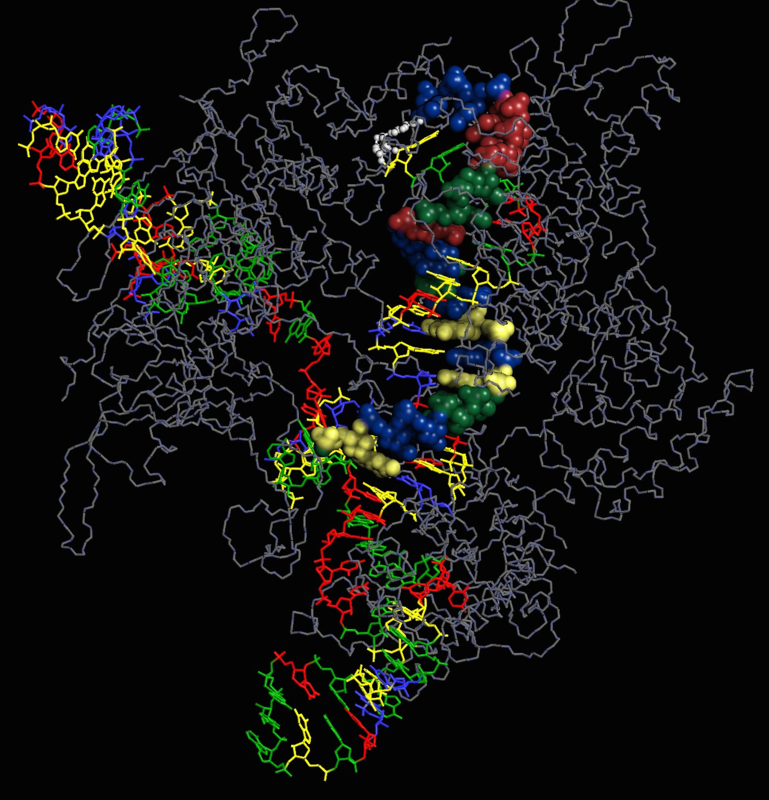 To learn about proteins and their activities, I like to go directly to the Molecule of the Month page, where I can find a list of articles organized by molecule type and name. Many of these articles can also be downloaded in a PDF format. 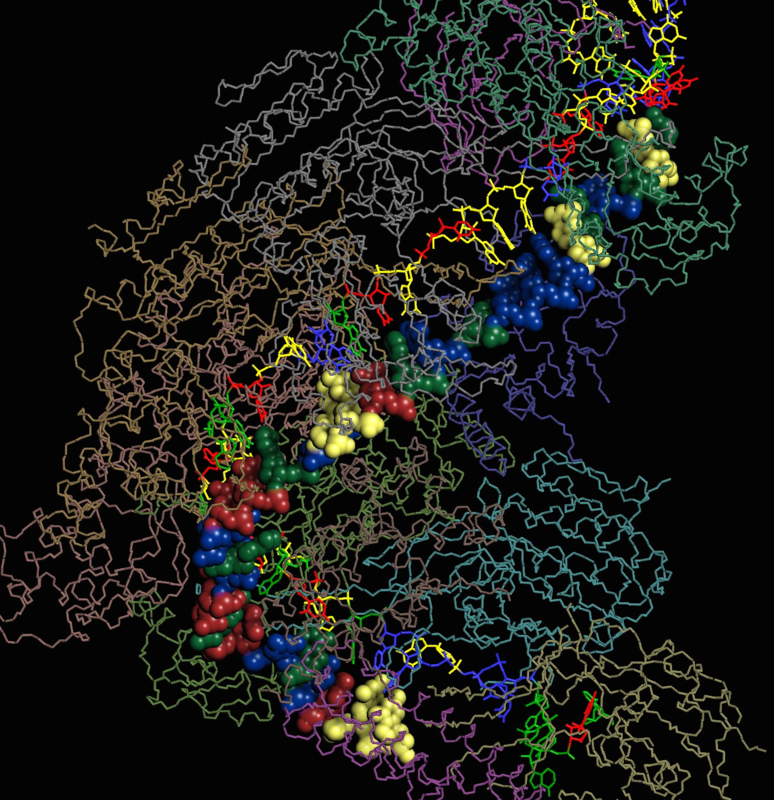 A really nice of his articles is that he includes PDB IDs for all the structures he discusses. 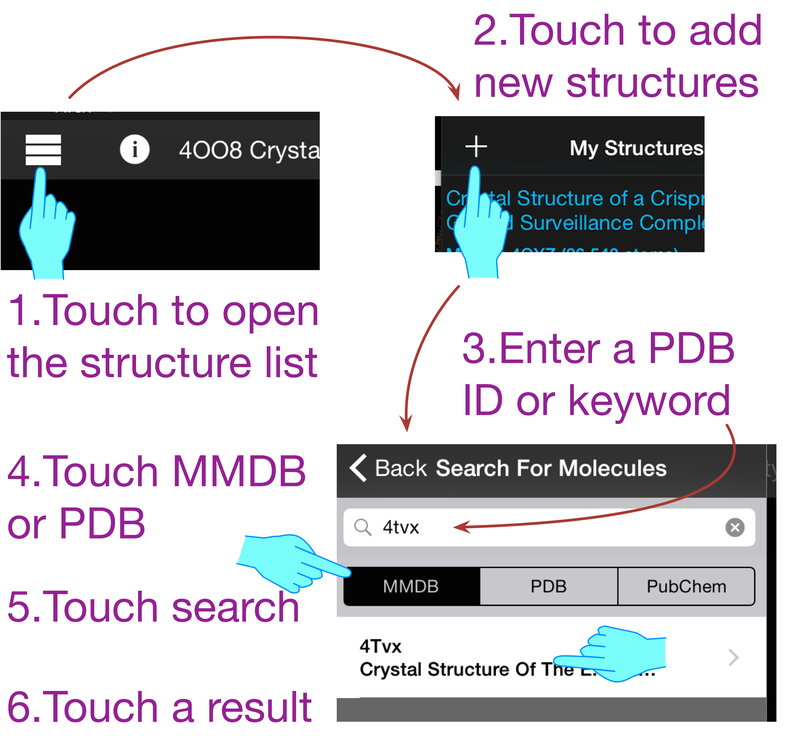 The PDB IDs make it easy to download and interact with the structures in Molecule World. Structures from the articles can be viewed on-line in Jmol, but we prefer a more interactive method where we can download the structures, view the sequences, and use the sequences to show / hide or modify parts of the structure in Molecule World. For example, say we want to know more about the genetic engineering tools Cascade and CRISPR. These are pretty exciting because they allow scientists to engineer genomes with greater precision than ever before. To learn more, we select the link to Cascade and CRISPR from the article list. The articles is great for understanding some of the back story. 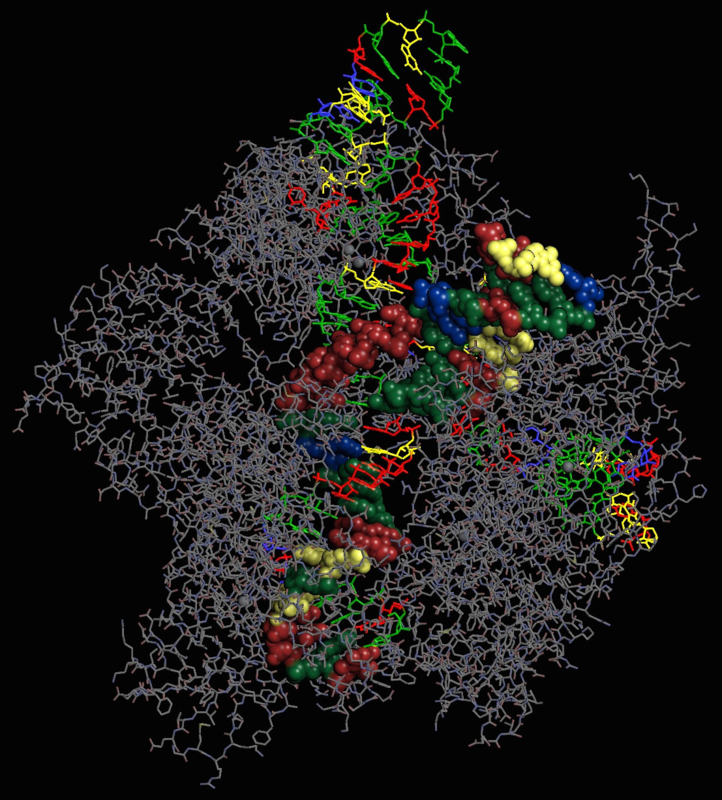 To find the structures, we can search the web page with the term "PDB". Every time the words "PDB entries" or "PDB entry" appear, they'll be followed by a PDB ID. We can use those PDB IDs to get the structures from the NCBI or PDB databases. At the PDB site, those IDs are linked to database records where we can download the pdb files, but it's not always so easy to figure out which of the ten files is the one you should download. A simpler method, is to type the ID in Molecule World and touch the search button. When the file name appears, touch the name of the file and the molecule file will be downloaded and opened. 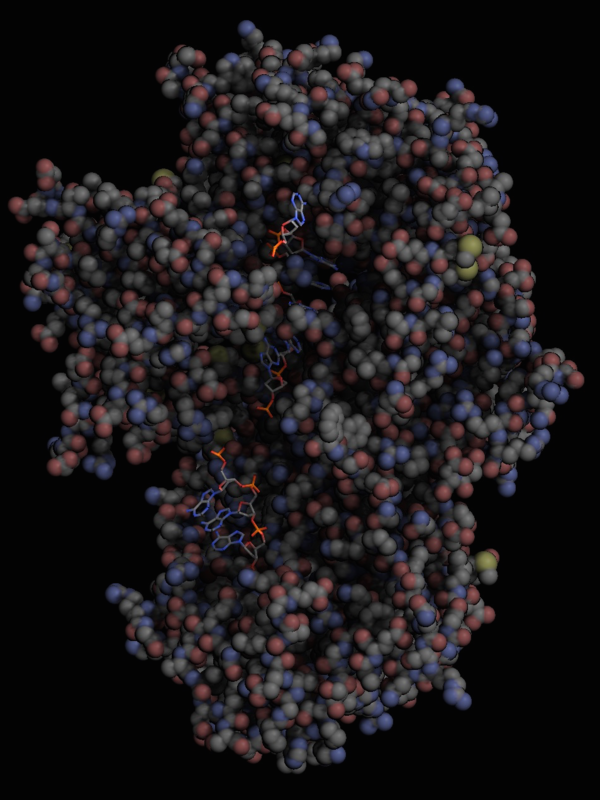 For Cascade and CRISPR, the PDB IDs and structures in the article are listed below. If you're using Molecule World on the iPhone or iPad, I set the links up so that touching the links will download the file and make it easy to open these in the app. All the images below were made in Molecule World. Two views of the cascade surveillance complex, a large complex of proteins and RNA 4TVX, 4U7U, Cas1 and Cas2, proteins that chop up and store viral DNA 4P6I, Cas3, a nuclease that attacks viral DNA: 4QQW, Cas9, a CRISPR system from another type of bacteria (Streptococcus pyogenes), with CRISPR RNA bound to target DNA 4UN3 And more complexes with both the CRISPR RNA and viral target DNA: 4OO8, And our favorite,4QYZ. My favorite way to view some of these is to open the sequence viewer, find and select the nucleic sequences, and color by residue to distinguish between the RNA and DNA. 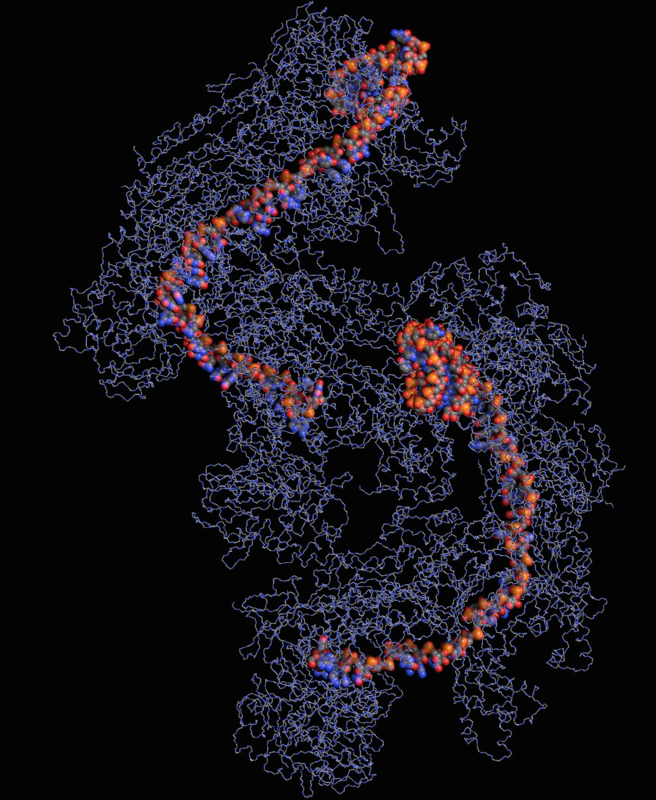 We made the RNA residues a little brighter since they're more chemically active. 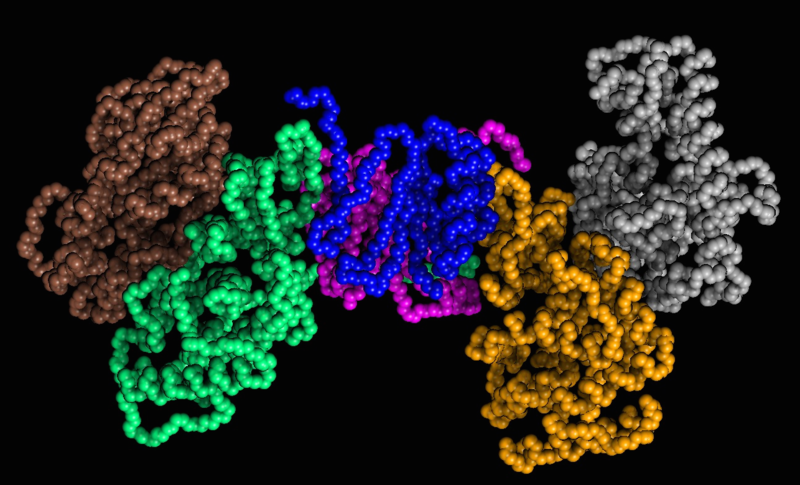 It also helps to draw the models in different ways to see how the RNA is positioned inside the protein complex. 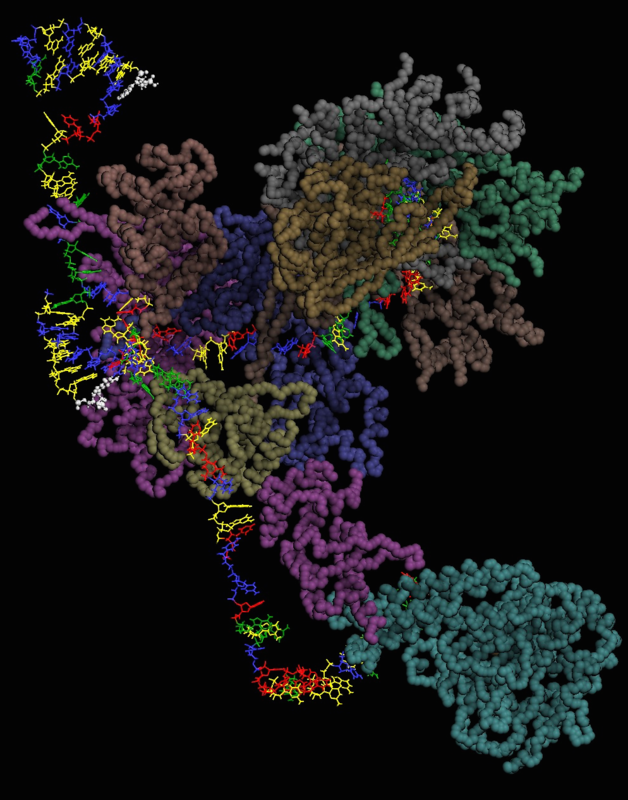 To learn more about CRISPR and the Cascade proteins, iBiology has a great video interview with Jennifer Doudna, the woman who discovered this system.